That must have been one hell of a hard hit to cause that much damage. Seriously. I’m stunned every time I look at it now. This girl has the heart of a warrior though. Still up and running and I managed to fix the leak w/out replacing cases/engines/etc. I just filled in the larger gap with enough sealant to get a “proper” seal and let it sit for 36 hours. Cleaned up the oily mess from before and then took it for several rides afterwards and it seems to be holding up well. If the issue should return, I will find a welder to be done with it once and for all. Its been several years since I split cases and build engines, but, back in the 2010-2014 time, the best sealant you could buy from an OEM was Yamaha YamaBond. I was building GSXR stuff, but even on the Gixxer forums, the YamaBond was highly rated as a case sealant. Thank you I will order that now. How would I know if the bike went out of timing I haven’t started the bike. Should I seal it then put the oil and start it? 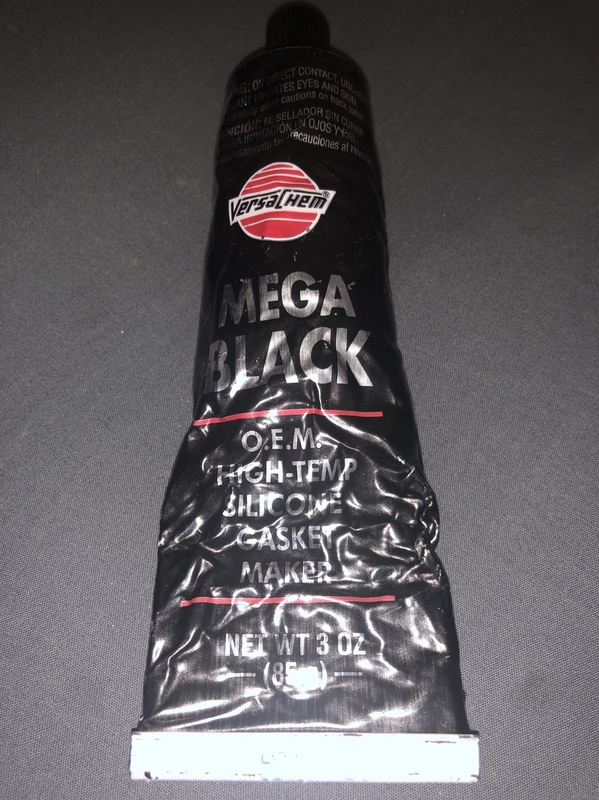 I personally used some Mega Black gasket maker from VersaChem. I picked it up from a local auto parts store. Since I managed to actually dent the engine itself and create an even bigger gap between the engine and the timing cover, I applied more gasket to the affected area and allowed the gasket three full days from the time I applied it to completely dry. I fixed the issue months ago and haven’t had an issue since.